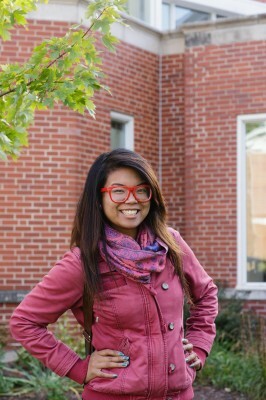 Tiffany Monreal ’14 will spend a year in South Korea teaching English as part of the Fulbright English Teaching Assistantship Program. Monreal, who double-majored in economics and business and international relations, will teach English from early July 2014 to late July 2015. She studied in South Korea as part of an exchange program in high school. “I immediately fell in love with the country, language, and people, so I’m extremely excited to be going back,” she said. In addition to teaching, she will also be studying Samulnori, a traditional Korean percussion instrument. “I’ve been studying Samulnori since I was in high school and going to Korea to learn from masters of the art is a life-changing opportunity,” Monreal said. Monreal is the ninth Cornellian to earn a Fulbright in the past nine years, joining fellow 2014 graduate Emily Wenger, who will teach English in Turkey. Others include Will Dinneen ’12, who taught English in Turkey, and Chris Stadler ’12, who taught English in Germany. The Fulbright Program is sponsored by the U.S. Department of State and was established in 1946 to increase mutual understanding between the people of the United States and other countries, through the exchange of persons, knowledge, and skills. Laura Farmer, director of the writing studio, regularly assists students with scholarship applications, including Fulbright applications, and Robert Givens, professor of history, is campus Fulbright Program Adviser.